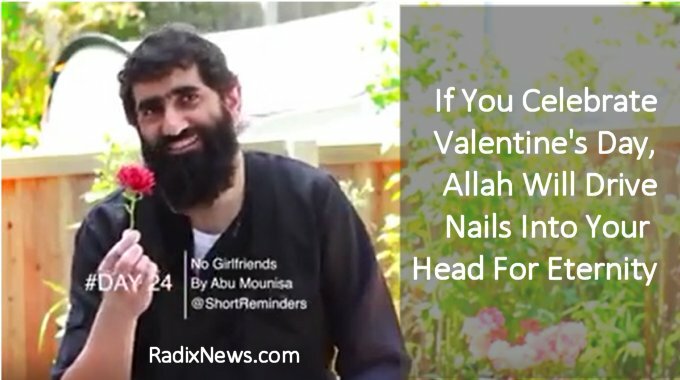 A Valentine’s Day warning from British Islamist Abu Mounisa. If you give flowers to your girlfriend, Allah will drive a nail through your head for entirety. But guys, if you forget to get her flowers, don’t try using this as your excuse!